Commercial & Domestic Window Cleaning Tower Hamlets E | Quality Property Care Ltd. 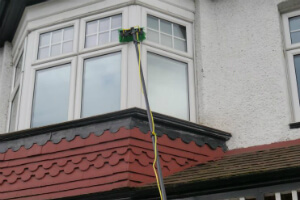 Enjoy much more than just expert window cleansing, give Quality Property Care Ltd. a call and reserve the very best window cleaning in Tower Hamlets E at a good price. Fully equipped and capable, we will leave no spots behind, removing not only grease, but built up dirt, grime, mud, rain residue, fine powder, fingerprints and a lot more. Streaks totally free treatment with purified water only! No greasy or sticky stains after window cleaning any longer! For the cleaning Quality Property Care Ltd. specialists use clear water from the tap, it passes through a few filters located inside the van, they strip the water from its miners and other chemical compounds, leaving it pure. This natural water does not respond with the filth on your window but strips it away carefully and without damaging neither the glass nor the sill or frames. It is appropriate for the leaning of all window kinds, it does not leave a chaos aside from a puddle and it is aroma free. Get the very best professional domestic and commercial window cleaning in Tower Hamlets E, call 020 3746 4287 or use the booking form to schedule a cleaning. You can also get a same day cleaning work, though if you reserve in advance you will receive a discounted price. With availability on holidays and weekends you could not go wrong by reserving Quality Property Care Ltd.. Get in touch with us to find more info on prices, promotions and our extra patio and gutter cleaning services.